XSEED has announced that they will be localizing the life-simulation title Story of Seasons: Trio of Towns for the Nintendo 3DS. In celebration of the upcoming 20th anniversary of the longest-running farming and life simulation series, the beloved Bokujo Monogatari franchise – now known as STORY OF SEASONS in the West – returns with its biggest adventure yet in STORY OF SEASONS: Trio of Towns. Settled on a homestead in the middle of three distinct and uniquely themed locales, players can explore a diverse landscape as they search for new ways to grow their farms and friendships. Extensive customization and gameplay options are on offer in Trio of Towns, with each village offering its own variety of regional crops, lads and ladies to romance, animals, festivals, furniture, decorations and more. More ways to play sprout up as players connect to one another locally or via the internet to chat, trade, and enhance items on a mysterious multiplayer island. 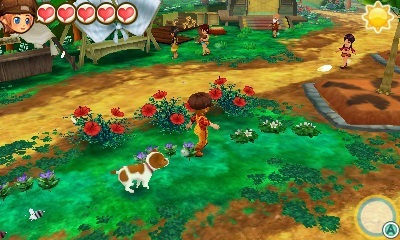 Story of Seasons: Trio of Towns is coming to the Nintendo 3DS.